Federal scientists are warning that Canada’s climate is warming at twice the rate of the rest of the world and that Northern Canada is warming even more. In related news: BC’s wildfire season starts early; the toll of California’s wildfires explained; and hotter/drier weather is bad for Montana’s seedling survival. 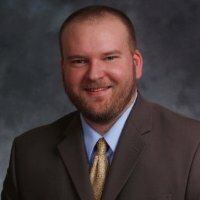 In other news: RISI’s recap speaks of sluggish markets; a fire at Tolko’s Lumby plant is extinguished without incident; UPM is closing one of its German paper machines; housing starts are up in Japan; Michigan State will use mass timber in new facility; and firefighters contain the forest fire in China that killed 30. Finally, the BC Council of Forest Industries forestry conference kicks off tomorrow evening with an ice breaker. Notable speakers include David MacNaughton, Canada’s Ambassador to the US and BC Premier John Horgan. The Frogs will be in tow—so stay tuned for live updates from the floor. SPF trading remained sluggish, leading to lower #2&Btr prices. Declines occurred across both eastern and western Canada, as urgency to sell quicker shipping volumes continued. …Traders described the Coastal species market as flat, but pressure on prices was more prevalent on the downside than up. …Changes in the Western Red Cedar market were modest, if at all, leaving it void of much momentum with regard to spring buying. …Expectations are for improvement as mid-April nears. …OSB activity slogged through yet another uneventful week, still held back by lingering winter and flooding in the central US. Inquiry levels were reported up slightly, with spotty perk-ups where weather improved. MDFand particleboard markets were steady as the quarter came to a close. Order files remained solid, although some minor excesses were apparent. 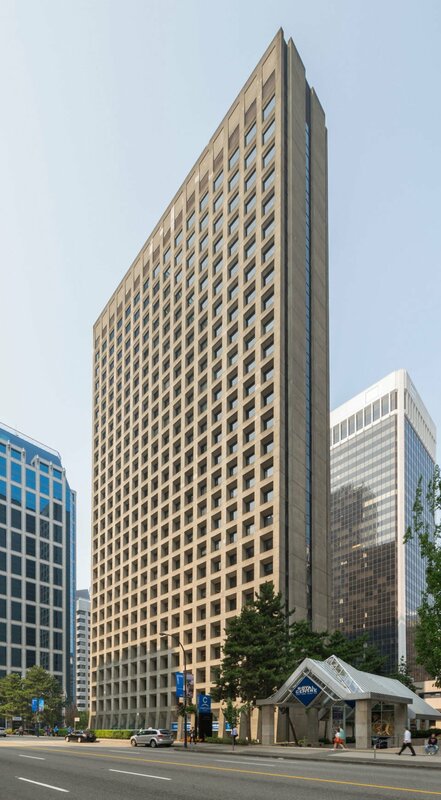 VANCOUVER, BC — CanWel Building Materials Group announced today that it has completed the acquisition of Lignum Forest Products LLP. Lignum is a well-established brand in the lumber and forestry distribution market in western Canada and the US. The acquisition further solidifies and complements CanWel’s North American distribution capabilities and reach. “’We welcome the Lignum team to CanWel” noted Amar Doman, Chariman and CEO of CanWel. The Acquisition is expected to be accretive to CanWel’s fiscal 2019 financial results. The quick thinking of a night watch person helped prevent a fire at a Lumby mill from growing. The fire broke out at Tolko’s White Valley Division plant around 7:30 p.m. Saturday. “The night watchman or security guard was able to get a hose on it to slow things down, and the plant’s fire suppression (sprinkler) system worked as well,” said Lumby Fire Chief Tony Clayton on Monday. …Nobody was working at the plant at the time of the blaze, and the plant was fully operational Monday morning. Housing starts in February rose 4.2 percent from a year ago to 71,966 units, up for a third straight month, the land ministry said Friday. The increase was led by growth in construction starts for owner-occupied housing and condominiums. Starts for owner-occupied housing, such as custom-built houses, rose 9.9 percent to 21,992 units, up for the fifth consecutive month, with interest rates staying low and financial institutions willing to increase lending on the back of rising land prices. Starts of housing for sale, including condominiums, jumped 11.4 percent to 21,190 units, thanks chiefly to increases in Chiba and Aichi prefectures. HELSINKI – Finnish paper maker UPM said on Tuesday it planned to close a magazine paper machine in Germany, cutting output to match weaker demand and lowering costs. UPM said it expected to cut 160 jobs at the Plattling mill near the Czech border and reduce the annual capacity of coated mechanical paper by 155,000 tonnes. UPM is one of the world’s largest makers of magazine paper, a sector which has been among the worst hit by a shift to digital publishing. …UPM forecast good demand in 2019 for most of its papers – excluding its Communications Papers unit, where it saw demand continuing to decline. Michigan State University’s planned STEM Teaching and Learning Facility will be the first in the state to use an innovative wood product, rather than concrete or steel, for its load-bearing structure. The university says the $100 million facility on the East Lansing campus will be built with mass timber. …“As a leading public research university, MSU has the fantastic opportunity to showcase these innovative and sustainable construction methods in the state of Michigan,” says Satish Udpa, MSU’s acting president. …Two new mass timber wings will offer 117,000 square feet of modern teaching labs, responding to STEM course demand. …The building is slated to open in fall 2020. … The wood panels are being manufactured in Quebec. CANADA — The world’s forests are being cut down in ways and at rates that make natural recovery difficult, if not impossible — to the detriment of the life, livelihoods and services they support. The solution lies in radically changing how we value and manage forests. Forests will persist only when we pursue a circular approach that maximizes their value to our collective well-being and eliminates the wastefulness we have come to accept as inevitable. According to the Ellen MacArthur Foundation, a circular economy is based on the principles of designing out waste and pollution, keeping products and materials in use and regenerating natural systems. …Once we are able to embrace the worth of forests beyond a dollar value, we can adopt a management strategy based on their overall contribution to society. On Monday afternoon, April 1, a three-person fire attack crew was dispatched to a 3.5-hectare blaze 17.5 kms up the Squamish Valley Road. According to a B.C. Wildfire Service spokesperson, that crew was backed up by another 10 firefighters and a helicopter. …The fire is on the side of a mountain and producing heavy smoke and no buildings were threatened. The spokesperson said the fire was human caused and was under investigation. There was also a wildfire reported on Monday, south/south east of Kamloops. …As a result, the provincial government is committing $101 million to fight wildfires in 2019, compared to $64 million in 2017. …B.C.’s forests minister Doug Donaldson said firefighters would have more access to computers and iPads in the field. The City of Kimberley will be entering into a five year memorandum of understanding (MOU) with BC Timber Sales to oversee forestry operations in the Mark Creek Watershed. According to a report to council from Operations Manager Chris Mummery, the reason for the MOU is that city officials and residents are concerned about the effects of logging on drinking water quality in the watershed. “Of particular concern is the quantity and quality of the water and the possibility that logging in the watershed may cause some negative affects, which could lead to significant expenses on the part of the community,” wrote Mummery. He adds that the MOU represents a commitment on the part of BCTS and the city to improve communications and strengthen their working relationship, building on issues of common interest within the watershed. Chief Robert Dennis strains to find the top of a spruce tree in his territory on the west coast of Vancouver Island. …Dennis just signed a deal with a forestry company that will allow the Huu-ay-aht First Nation to benefit from the forestry industry. …The First Nation is hosting a community celebration and feast as they sign a forestry deal with Western Forest Products worth $7.2 million. …The deal is for seven per cent of a tree farm licence called the TFL 44 that extends into the traditional territory of the First Nation. …He says this new partnership will provide a huge opportunity to have say in resource management, training and jobs as well as money to invest into its programs and services for its members. Amendments to the Forest and Range Practices Act will support the health and sustainability of B.C.’s forests and range lands, while strengthening public confidence in how these vital resources are managed. “We’re making overdue changes to how we do things in the woods to ensure resilient forests and on the range to support families and communities in this province,” said Doug Donaldson, Minister of Forests, Lands, Natural Resource Operations and Rural Development. “These changes are part of our plan to revitalize the forest sector, to improve public trust, find paths to reconciliation with First Nations and improve transparency and public confidence in decision-making.” Initial changes to the act will be followed over the next two years by more substantive changes, which will be informed by a public consultation later this spring. NEW YORK — The Lenzing Group, world market leader in specialty fibers from wood, announced today the launch of the brand’s 2019 Earth Month Campaign entitled “From Trees, For Trees”. Lenzing’s TENCEL™ brand, along with seven of their U.S. retail partners, including BN3TH, BleuSalt, Triarchy Denim, Boyish Jeans, Bearaby, Hoot, and Malouf, will work with One Tree Planted, a U.S.-based non-profit organization that plants trees across North America and around the world in areas affected by forest fires or floods. The brand collaboration supports the replanting of trees in the California forests recently devastated by last year’s wildfires that burned over 876,000 acres of forest. From April 1st to April 30th, 2019, TENCEL™ brand invites the public to get involved in helping them donate trees by liking & sharing Earth Month related posts on the TENCEL™ branded Instagram page as well as on their retail partners’ Instagram pages. “No mill. No market. No forest.” These were the words of Evergreen Magazine’s Jim Petersen over 15 years ago. They came to mind as Swanson Group announced the impending closure of the company’s sawmill in tiny Glendale, north of Grants Pass. The closure is another example of Oregon’s neglect for its rural communities, and the federal government’s repeated failures to manage its forests. The Glendale facility is among the few remaining sawmills left in Southwest Oregon. This is a region that, not coincidentally, has struggled with massive wildfires and choking smoke that every summer endangers the region’s livability. Glendale itself is surrounded by forests owned by the U.S. Forest Service and Bureau of Land Management, and the town’s very existence has been threatened by nearby fires on federal land. If it seems that wildfires are burning nearly all the time these days, that there’s no longer a definable fire season in California, you’re right. …When 2018 became the worst fire year on record, we accepted a new reality. …A state-commissioned report makes the harrowing projection that under current emissions trends, the average burn area in California will increase 77 percent by the end of the century. The state has spent, conservatively, more than $4.7 billion from its emergency fund in the last 10 years to fight fires. Cal Fire, the state’s firefighting agency, has been chewing through its firefighting budget only months into a year, leaving little to pay for thinning California’s overgrown forests and helping rural communities protect their infrastructure and water supplies. California’s fires are disruptive long after they are put out, displacing homeowners and even entire communities for months or years. A University of Montana research team has pinpointed new evidence that hotter, drier conditions make it hard for tree seedlings to survive after fire. …confirming previous studies that … hotter, drier times leave western US conifer seedlings at risk of shriveling and dying before they can bring new forest into being after fire. …the hotter and drier conditions so favorable to fire are unfavorable to survival of seedlings after fire has come and gone. Many will have lingering questions even after the important new evidence provided by the UM team. One of these questions, likely of immediate interest, centers around seedling survival after logging — if hotter and drier conditions have killing effects on seedlings after fire, won’t those same conditions have the same effect on seedlings after logging? …One thing seems certain. It would be increasingly difficult to offer logging jobs on increasingly grassy mountain slopes. The fears of state forestry officials started to come to fruition this weekend in the Florida Panhandle when a forest fire began burning a 3-5 acre area on Saturday and by Sunday evening had left 668 acres of forest scorched. State forestry officials say it brought to reality the wildfire threat that part of the state faces this year as a result of the large number of trees toppled by Hurricane Michael. …“The fire threat is huge,” state Forestry Director Jim Karels said a couple of weeks ago. “When it dries out — and it will — on a windy day how do we deal with it?” Karels warned. … He says not only would the large number of downed trees impede firefighters access to wildfires, but would also provide fuel for the fires. India recently joined the select club of countries with their own globally-recognized forest certification scheme. Certification Standard for Sustainable Forest Management (SFM) is a scheme developed by an Indian non-profit organization called Network for Certification and Conservation of Forests (NCCF). It has attracted global recognition after being endorsed by a Geneva-based non-profit organization Programme for Endorsement of Forest Certification (PEFC). …India has a forest cover of 21.54% of the total land surface. Its timber and non-timber products have a huge market in the domestic and world market. However, there was no reliable forest certification programme for its huge green cover as yet. This called for an urgent need for such a program. …The global applause received by India should motivate other countries to be a party to the efforts related to making the world more sustainable. Firefighters on Tuesday contained a blaze high in the rugged forested mountains of western China that claimed the lives of 30 colleagues, in one of the worst disasters for the emergency services in recent years. Open flames had been extinguished and only a few areas continued to emit smoke with no further threat of the fire spreading, state media reported. 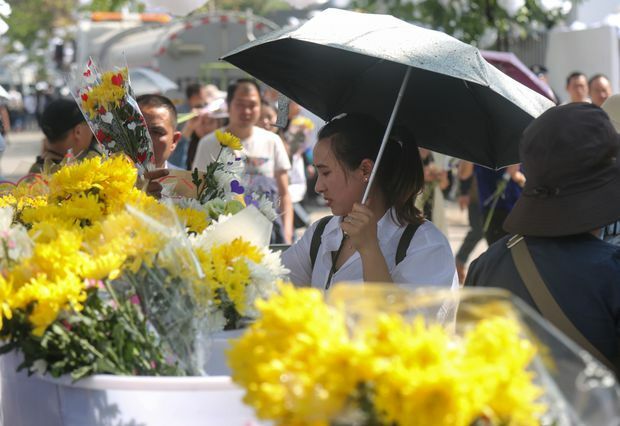 The bodies of the dead firefighters were transported to the town of Xichang in Sichuan province, where residents presented flowers as a sign of mourning and respect. Some of the bodies could only be identified through DNA, state broadcaster CCTV reported. …The Xinhua News Agency quoted firefighting official Xie Shi’en as saying wind, dry air and combustible material creative an explosive effect where the men were working. Defra Ministers have appointed three new Non-Executive Commissioners to Forestry Commission. Jennie Price CBE, Peter Latham OBE and Liz Philip have been appointed for three years commencing on 1 April 2019. The Commissioners will play a pivotal role in establishing a strong, sustainable future for the organisation, enabling it to set out with confidence on the road to the next 100 years of forestry in England. …Forest Research will continue to operate across GB, and the whole FC will remain an outward looking, connected organisation, engaging with the forest industry and other national and international partners and stakeholders, and delivering research and other services to Scotland and Wales by agreement with the devolved governments. …Peter Latham is currently the Chair of the Programme for the Endorsement of Forest Certification International (PEFC), a Director of Association Technique Internationale des Bois Tropicaux (ATIBT) and a trustee of the Commonwealth Forestry Association. AUSTRALIA — A tiny flying fox previously unrecorded in a rainforest on the Sunshine Coast has been discovered in a four-day scientific survey near Maleny. …The small fruit bat is listed as vulnerable in NSW, and has been never formally recorded in the 55-hectare Mary Cairncross rainforest reserve. …Ms Freudmann was a part of a team of Australian scientists and artists who swapped the laboratory and studio for a rope and harness to survey what has been described as the final biological frontier — the rainforest canopy. 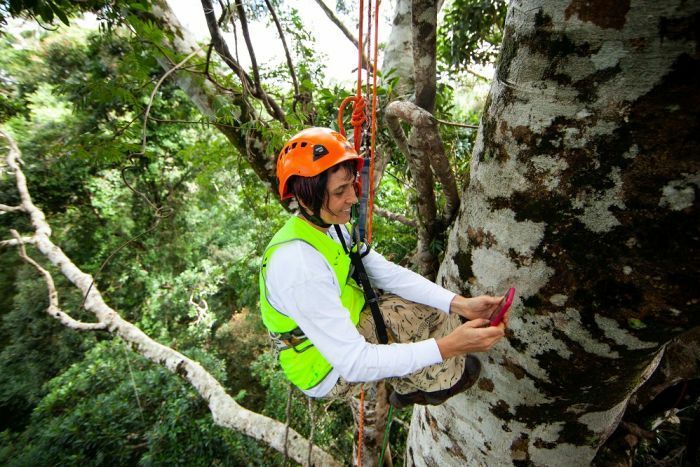 The team took turns being suspended up to 50 metres above the ground to survey the top crowns of five giant strangler fig trees. …While there is a degree of risk involved in dangling 50 metres from the ground, the discoveries are compelling, such as tiny orchids that only grow high in the canopy and cannot be seen from the forest floor. BEIJING — A forest fire in southwestern China turned deadly over the weekend when winds shifted unexpectedly, trapping firefighters and local officials in a maelstrom. The bodies of 30 people who could not escape were found on Monday, officials announced. Among those who died were the chief of a regional forestry bureau in Liangshan Yi Autonomous Prefecture in Sichuan Province, and his deputy. The officials had traveled to the scene of the fire, which broke out on Saturday in a remote location at altitudes nearing 13,000 feet, and had not been heard from since. …The death toll appeared to be the largest for firefighters in China since a devastating blaze at a chemical plant in Tianjin killed more than 100in 2015 …“The forest fire risk level in some areas is extremely high,” The Paper, said. Federal scientists and academics are warning that Canada’s climate is warming rapidly and faster than the global average, saying human behaviour must change to slow the shift. Officials from Environment and Climate Change Canada presented the first study of its kind, titled Canada’s Changing Climate Report, on Monday. It has been in the works for years and is the first of a series aimed at informing policy decisions and increasing public awareness and understanding of Canada’s changing climate. The report says that Canada is warming at twice the rate of the rest of the world and that Northern Canada is warming even more quickly, nearly three times the global rate. Three of the past five years have been the warmest on record, the authors said. …The report is the latest to warn of potentially devastating effects from global warming and comes amid a pitched battle over Canada’s climate-change policies. The Sande Overpass is now open after a logging truck tipped over on its side, spilling its cargo across the road. …The truck had been turning right onto the overpass from Hwy 16 eastbound when it turned over on the driver’s side. There are no injuries and no other vehicles were damaged. …This isn’t the first time logging trucks have had issues turning onto the sharply-angled Sande Overpass. …an accident similar to this most recent one was fatal. In 1986, a woman was killed while walking across the overpass when a loaded logging truck overturned at the south end of the bridge. …The RCMP Inspector at the time said the narrow lanes and acute turns on both access routes to the Sand Overpass require semi-trailer trucks to infringe on adjacent traffic lanes, and in the case of logging trucks, the rear load overhang generally swings into another lane.